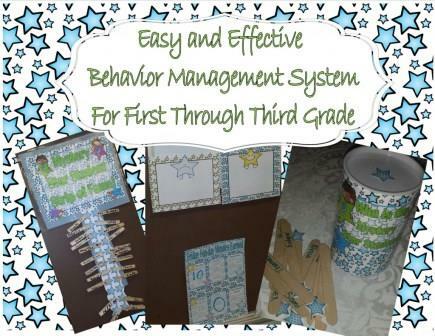 Tired of clip charts, need a new behavior management system for your classroom that is easy to use and set-up? Mystery Star Student System and Fun Friday Award System Using the Whole Brain Teaching Scoreboard System. Both Systems are explained to you in the set. I suggest you use both of these systems together. One focuses on an individual student behavior and the other focuses on whole class behavior and is modeled after the Whole Brain Teaching Scoreboard. In this set I explain how I to use the printables in the classroom. All you have to do it read about the system to understand it. I believe it is very easy to start-up and understand. A few items to print and laminate and you are ready to go. When I took on a long-term substitute third grade position, I created these printables and had them printed and ready to go in less than an hour. That includes the time to laminate and cut! So if you are in a pinch—this should make you happy!!! Page 5 and 6— My Mystery Star Student System is explained here. Page 7—Printable Cover for your Mystery Star Student Jar. Page 11 and 12—Star Student Rules Display Page 13—Numbered Stars to place on the sticks you will place in your Mystery Star Student Jar. Page 14— Write your students names on this sheet so you know what numbered star goes with what student! Pages 15, 16, and 17 - My Fun Friday Star Scoreboard Explained. Links to resources included!!! I also share how I use this part of the system as a substitute. Basically the same method just used in shorter spurts.